As Nigeria continues to explore actionable ways to address the menace of Climate Change, one of the greatest challenges experienced in the drive to achieve this, is gross division among various stakeholders sitting on different ends of the negotiation table. 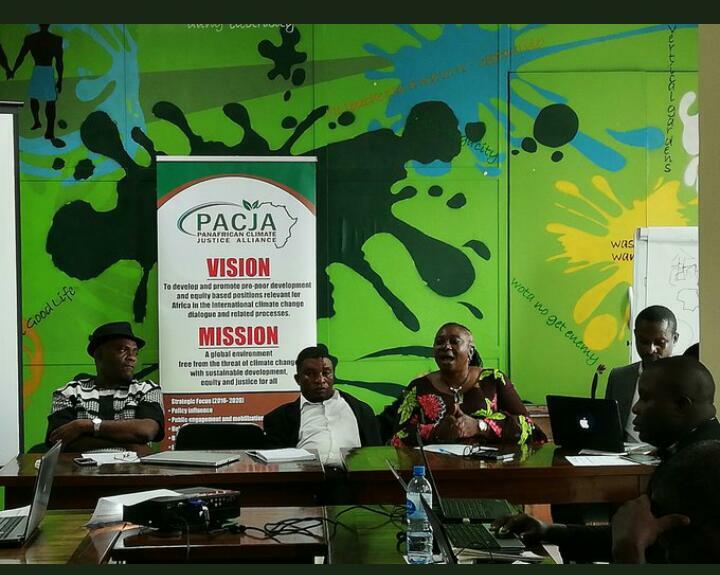 In a bid to address this, Pan-African Climate Justice Alliance (PACJA) through the Climate and Sustainable Development Network of Nigeria (CSDevNet) recently developed a framework for a stronger coalition for key stakeholders and more efficient delivery by other active organizations. No doubt, the civil society plays a vibrant role in addressing issues around Climate Change and Sustainable Development. This framework was determined during the recently held National Consultative Workshop on NDCs and Talanoa Dialogue at the Heinrich Boll Stiftung Hall, Abuja, Nigeria on 28th August 2018. 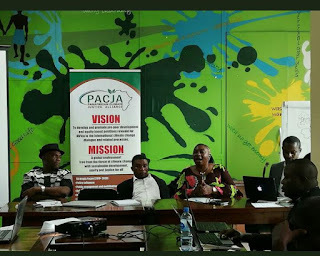 Facilitated by PACJA’s Secretary General, Mr. Mithika Mwenda, the entire coalition was distributed across 6 sectors namely: Finance Sector, Gender Sector, Adaptation Sector, Mitigation/Energy Sector, Media/Information Sector, and Intergenerational/Innovative Technology Sector. This newly designed civil society framework will accommodate many other stakeholders across the six regions of Nigeria to act in the national interest in implementing the Paris Agreement in Nigeria. Furthermore, this will afford organizations to work collectively as against working in silos and together strengthen engagements to timely actualize the implementation of the Nationally Determined Contribution in the five priority areas; Energy, Oil & Gas, Agriculture & Land use, Power, and Transport.